In a bid to boost the 3G Wireless Broadband services, India’s first 3G Mobile service operator Mahanagar Telephone Nigam Ltd (MTNL) today slashed the price of its plug-n-play 3G USB Devices (3G Data Card) from Rs.2500 to Rs.1799 for its customer in Delhi telecom circle. MTNL’s new 3G Data card will be available in all Sanchar Haats across Delhi from 5th July, 2010 onwards. The operator also offers free 3G prepaid SIM card and free data transfers (Download and Upload) up to of 10 GB per month (total 20 GB) for 2 months on the purchase of 3G Data Card. 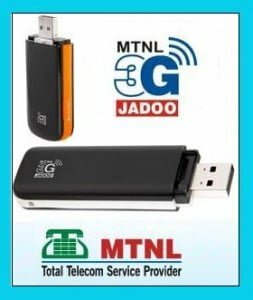 MTNL 3G Data Card will enable anytime, anywhere instant High Speed wireless Internet connectivity up to 3.6 MBPS and 7.2 Mbps (depends on device) for laptops and other computing devices, thereby significantly benefiting business users, roamers and travelers. MTNL’s 3G Wireless Broadband service comes with the attractive Limited and Unlimited 3G data tariff plans for postpaid and prepaid starts from Rs.50 to Rs.2500. 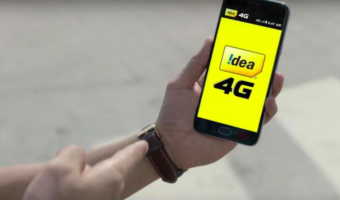 Will DoT Ensure That Mobile Number Portability Is Third Time Lucky?